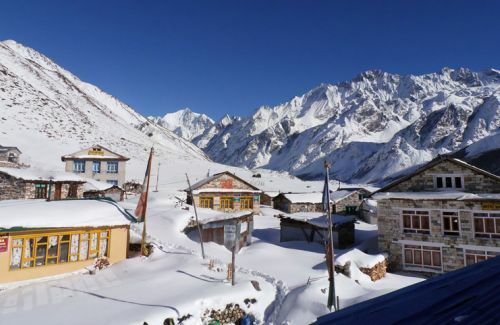 Langtang Valley, enclosed by the Himalaya, has two words: Lang and Tang. Lang means ‘yak’ and tang means ‘ to follow’. 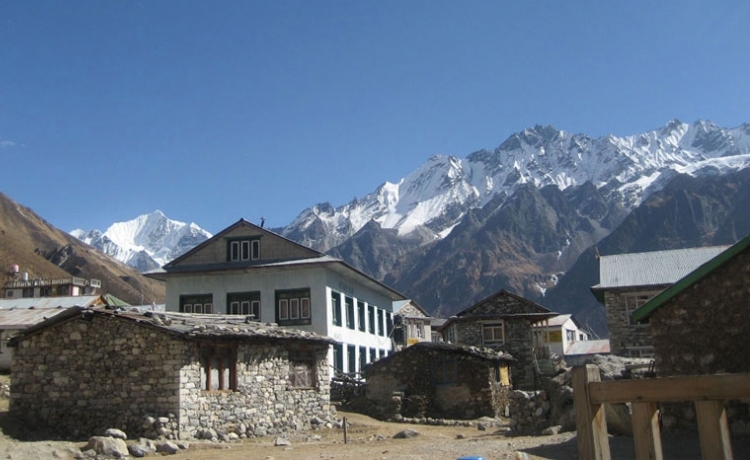 There is a legend about how this valley’s name Langtang has been given. A holy man was in search of his Yak. He found his yak died in this region. He wanted his dead yak to hide, He skinned off and spread over the rock. Eventually, that got stuck on the rock there in Langsisa and still the rock seems reddish in color. Langtang Trekking is the nearest and the accessible trekking destination rich in both natural beauty and cultural diversity. It is 122km, about 8 hours drive from Kathmandu to Dhunche . Then, one can go ahead for the trek from the route either to Langtang or Goshaikunda or Helambu. All routes have the facilities of locally operated hotel/lodge, tea house and camp grounds for groups. 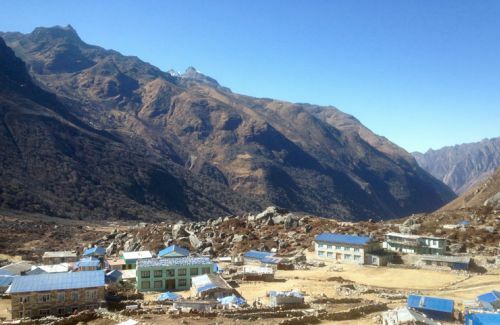 Langtang region offers a choice of moderate to more difficult trekking with duration ranging from 3 days to 3 weeks. 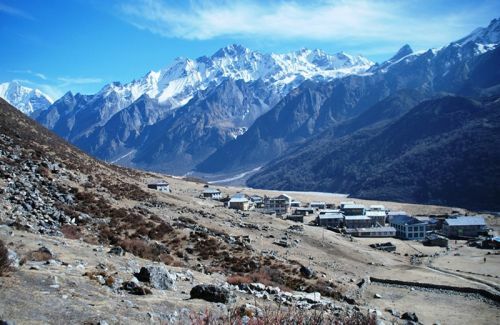 This region is to explore trail side wilderness, to find hill top view from Kyangjing, to face the challenges being more adventurous to Upper Langtang, Langsisa, high passes, to venture remote areas or the other route being diverted from Langtang to Goshaikunda and cultural sites to Melamchighyang, Tarkeghyang and Sermathang will be well rewarded . 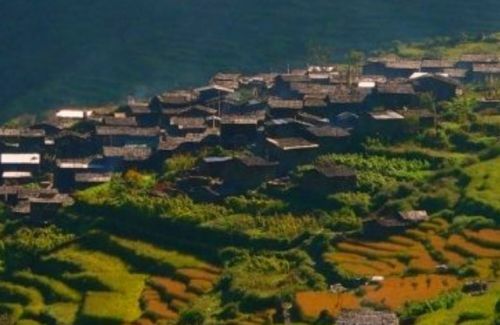 That’s why this region offers a life unfolding and unique experience, the craftsmanship, dress, traditionally built stone houses and the beautifully carved wooden porches reflect the solitude and the serenity of the Himalayan scenery. 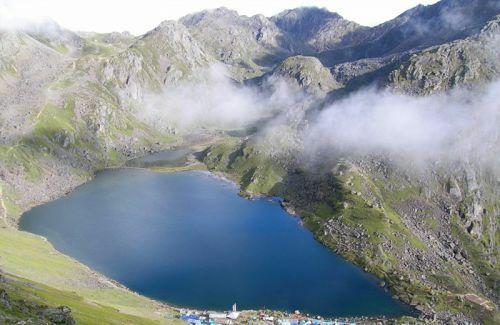 Langtang region is well furnished by the Langtang National Park which has an area of 1710 sq. km. 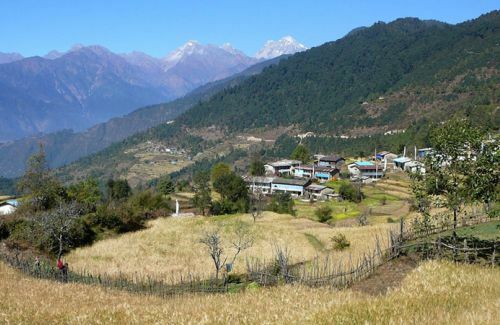 and extends over parts of Nuwakot,Rashuwa and Sindhupalchowk districts.Langtang is rich in hill forest (2,000 m – 2,600 m) consisting of chir pine, rhododendron, Nepalese alder; in the temperate zone (2,600,m – 3,000,m) is covered mainly by oak forest and silver fir, hemlock, larch in the lower sub – alpine zone (3,000 m – 3,600 m). It is here at 4,000 m. juniper and rhododendron shrubs slowly dissolve into the expansive alpine grassland meadows. 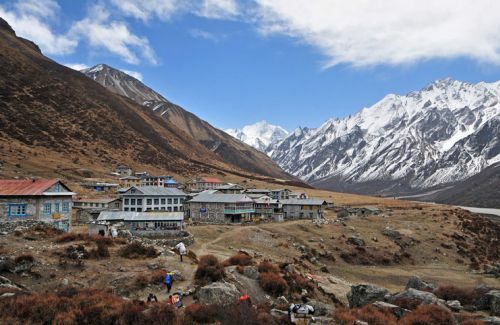 The Langtang National Park is the second largest among Nepal’s nine National Parks. 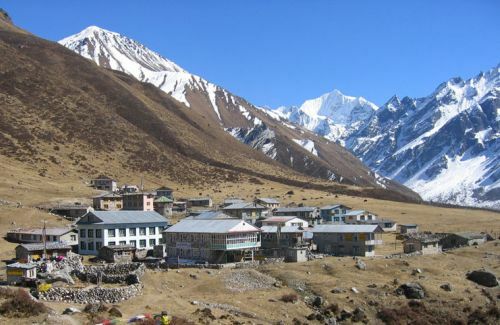 Occupying 56% of the district and stretching up to the Tibetan border, it has a high level of bio- diversity including 15 forest types,3000 species of flowering plants,32 mammals and 283 species of birds.Langtang’s expansive high meadows provide summer habitats for the ungulate species such as musk deer, Himalayan Tahr. The park is well known for its population of Red Pandas. We find mainly three different ethnic group each thought to have originated from Tibet are : Tamang, Yolmo and Bhotia. The Tamangs are the traditional farmers and the cattle herders of the region.their religion is related to the Bon and pre – Buddhist doctrines of Tibet. 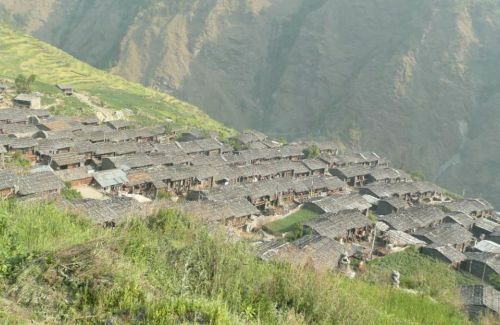 While the people of the Langtang valley are mostly Bhotias with recent Tibetan origin, many have intermingled with local tamangs. 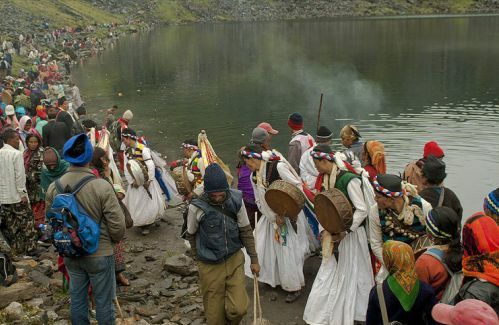 The Yolmo people of the Helambu region are often referred to as “ Sherpa”. However their language and socio – cultural set up do not resemble the Sherpas of Solukhumbu region. They are rather more akin to Langtang Bhotias and may also have migrated from the Kyirung area of Tibet. Their religion and Buddhist Monasteries are rich in Buddhist culture. September through May offers a variety of natural splendors, from lush temperate river valleys with screeching languor to spectacular old growth forest and glacial – craved cliffs rimmed by snow covered peaks. The weather is also relatively dry except January- February when one may come across snow. Autumn is the best time for the Langtang trek,when brilliant greens fed by the monsoon fade to golden/amber against crystal blue skies and grains ripen in the enclaves. By April, blooming rhododendrons stretch into towering canopies of fir and oak forests. Yaks herds ascend to higher elevation, making occasional camps in the pasture lands follows the years of tradition. During August, a lively festival at Goshaikunda Lake attract thousands of Hindu pilgrims and the spectacular display of wild flowers and herds returning to lower pasture lands in September is fascinating.